There are hundreds of universities in the US that offer undergraduate degrees in business. However, only a few can claim to be among the best. When considering where to apply, it's always good to aim high. One of the most important steps for international students considering a degree in business is to choose the right school. Just about every college and university in America features some sort of business program, so narrowing down your choices can be a difficult task. There are so many things to factor in that it may seem overwhelming. Are you looking for a smaller school? Are you concerned with location? Is there a particular professor you want to study with? What kind of business are you looking to study? In 2015-2016, US News and World Report ranked the University of Pennsylvania	as the number one business school in the US. Deeply rooted in American history, the University of Pennsylvania was founded by Benjamin Franklin in 1740. Located in Philadelphia, Pennsylvania, this mostly urban campus currently enrolls around 10,000 undergraduates, including many international students. Known commonly as Penn or UPenn, the university is a private Ivy League school, and admission is extremely competitive. Even amid hundreds of possible majors, General Finance is one of the most popular. Founded in 1881, the internationally renowned Wharton School of Business at the University of Pennsylvania was the first college-level business school in the US. They prides themselves on their wide variety of business foci and integration of business education with the liberal arts. The Wharton School offers 20 concentrations across 10 departments. International students can choose business concentrations from accounting to global analysis, and from marketing to social impact and responsibility. Wharton also supplies state-of-the-art business technology for its students, making them one of the most innovative and contemporary schools in the country. Finally, Penn's business program has a global focus, encouraging all students to practice their business skills in the international market. Second on the list of best undergraduate business programs is Massachusetts Institute of Technology, or MIT, located in Cambridge, MA. Founded in 1861, the school has a total undergraduate enrollment of around 4,500. Admission is extremely competitive; in 2016, the acceptance rate for freshmen was 8 percent, which means that fewer than one out of every ten students who applied was accepted. MIT’s business school is the Sloan School of Management. Sloan was founded in 1914 as an engineering administration curriculum known as Course 15. Since then, the scope and depth of the program’s focus has grown steadily in response to advances in the theory and practice of management. Undergraduates do not have to apply directly to Sloan; rather, they are admitted to MIT without designation of a department or course of study and choose a major at the end of their freshman year. UC Berkeley is also on the top of the list for business schools. Located on an urban campus in Berkeley, California, it is the oldest of the ten universities that make up the University of California system. UC Berkeley is often cited as the top public university in the United States. The school enrolls approximately 30,000 undergraduates. The University of Michigan – Ann Arbor is one of the larger schools in the US to feature a top-tier business program. Located in the suburbs of Ann Arbor, the university enrolls around 27,400 undergraduates. UM's appeal extends beyond just its academics: Ann Arbor is considered one of America's great college towns and UM's Division I athletics are a huge part of the university community. It's no surprise that one of the largest universities located in one of the largest international cities with one of the largest business markets in the world would be one of the top schools to study business. New York University's	densely urban campus sits right in the heart of New York City, and this private research university enrolls around 22,300 undergraduates. Their proximity to the Greenwich Village neighborhood also ensures its students that in addition to a high quality education they will also experience a high level of culture. As you might expect, the Stern School of Business at NYU focuses its curriculum around the international market and global awareness. Innovation is of the utmost importance at forward-thinking institutions like NYU, and the Stern School seeks domestic and international students who think and act socially and globally. The University of Southern Indiana (USI) MBA helps working professionals strengthen strategic, behavioral, and technical skills needed in dynamic business environments. The program also focuses on providing educational experiences that prepare students to effectively engage in issues at the intersection of business and society such as ethical business practices, globalization, and technological change. All courses at the University of Southern Indiana are taught by doctorally qualified faculty at the forefront of their disciplines. With the options for curriculum taught at USI, students can earn their MBA in as little as one year’s time. 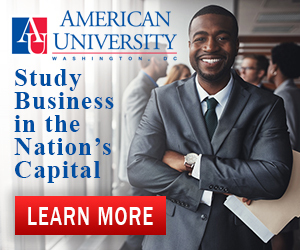 The Kogod School of Business at American University is a well-regarded institution that aims to teach its students through real-world applications of classroom discussions. While this hands-on approach may seem unorthodox for a business school, it helps students get used to the way the business world operates, and provides them with experience as opposed to simple memorization of statistics and facts. Their methods are highly effective, as 96% of Kogod undergraduate students reported a positive career outcome in 2015, and 88% were offered a job within three months of graduation. Founded in 1955, Kogod is Washington DC’s oldest accredited business school, and has received recognition from the Association to Advance Collegiate Schools of Business. Felician University, located in New Jersey, offers a business and management sciences division that focuses on essential business skills and a code of ethics. Programs are designed to develop an entrepreneurial and leadership culture that can be applied once students enter the competitive business world. The Felician University curriculum helps international students develop the business competencies employers are looking for: critical reasoning, effective communication, ethical decision making, teamwork, and quantitative reasoning. Felician offers a five-year joint BS/MBA program that allows students to earn both their undergraduate degree and MBA in only five years. Undergraduates studying business at Felician can choose between Accounting, Business Administration, Business Analytics, Healthcare Administration, Management, and Marketing. Felician has also developed valuable relations with businesses in nearby New York City - the world’s major business hub – to give students the opportunity to gain hands-on experience and to apply what they have learned in the classroom.